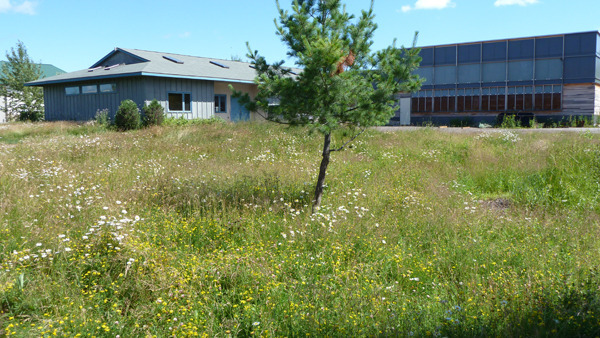 We’ve been thinking about turning the lawn around Meteek into a meadow, and this year we did it! How did we do it? It was simple–we just stopped mowing. We wanted to find out what was in the seed bank on the property, and the results have been lovely! 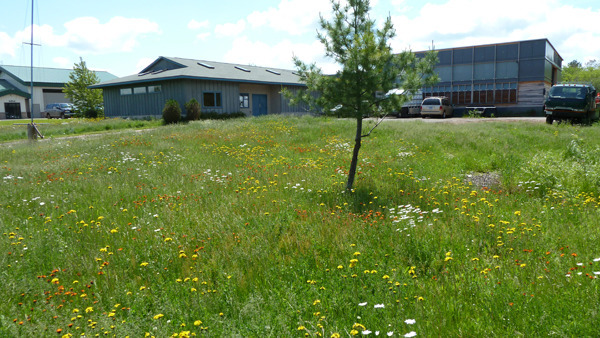 We have native plants that require no irrigation, and we are not using the fuel, generating the emissions or paying the labor of weekly mowing–as well as not applying the fertilizer and herbicides that are commonly used on a lawn. Changing through the summer, the beauty of the meadow has been delightful, and we have noticed more birds and small animals enjoying the property. We have been mowing a strip around the edges to give the meadow a “trimmed” look, and will do one cutting in the fall before snow.